Earlier this year, a house in Stamford, Connecticut mysteriously exploded, resulting in what first responders described as "a scene out of hell." Amazingly, homeowner Joe Cardillo survived the blast without serious injury -- thanks, he says, to a passing bird. In his first interview following the explosion, Cardillo, who lives alone, describes the serendipitous circumstances of that day. "I always eat my lunch down in the basement," Cardillo tells the Stamford Advocate. "That day for some reason I decided to eat outside." After finishing his sandwich near his backyard pool house, Cardillo noticed a single cardinal flying past just a foot overhead, landing about 20 feet away in a bush across his lawn. His curiosity piqued, Cardillo got up to have a better look at the bird. That's when the blast occurred, leveling his home and sending debris flying everywhere. Cardillo was knocked unconscious by the explosion, but escaped relatively unharmed. A large part of his roof landed right where he was having his sandwich next to the pool, he said. 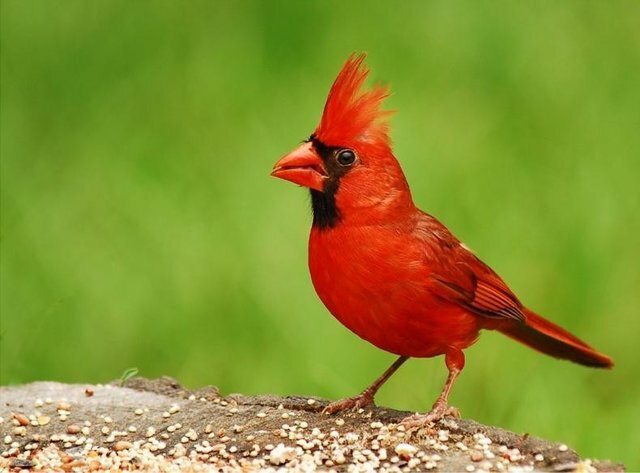 "I should be dead," said Cardillo, if it wasn't for that "beautiful red" cardinal.